Price Support Policy of the Government is directed at providing insurance to agricultural producers against any sharp fall in farm prices. The minimum guaranteed prices are fixed to set a floor below which market prices cannot fall. MSP were announced by the Government of India for the first time in 1966-67 for Wheat in the wake of the Green Revolution and extended harvest, to save the farmers from depleting profits. This policy of two official prices being announced continued with some variation upto 1973-74, in the case of paddy. In the case of wheat it was discontinued in 1969 and then revived in 1974-75 for one year only. Since there were too many demands for stepping up the MSP, in 1975-76, the present system was evolved in which only one set of prices was announced for paddy (and other kharif crops) and wheat being procured for buffer stock operations. MSP is announced by the Government of India for 25 crops currently at the beginning of each season viz. Rabi and Kharif. Minimum Support Price for major agricultural products are announced each year after taking into account the recommendations for the commission for agricultural costs and prices (CACP). The CACP while recommending prices takes into account all important factors including cost of production, changes in input prices, input/output parity, trends in market prices, inter crop price parity, Demand and supply situation, parity between prices paid and prices received by farmers etc. In fixing the support prices, CACP relies on the cost concept which covers all items of expenses of cultivation including that the imputed value of the inputs owned by farmers such as rental value of owned land and interest on fixed capital. some of the important cost concepts used by CACP are the C2 and C3 Costs. C3 Cost: Cost C2 + 10% of cost C2 to account for managerial remuneration to the farmer. Costs of production are calculated both on a per quintal and per hectare basis. Since cost variation are large over states. 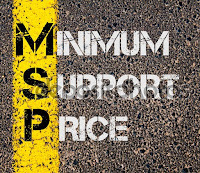 CACP recommends that MSP should be considered on the basis of C2 Cost. However increases in MSP have been so substantial in case of paddy and what that in most of the states MSPs are way above not only the C2 cost but the C3 cost as well. 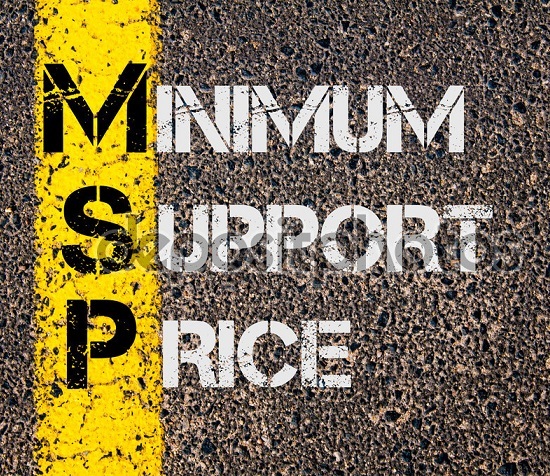 Since 1997-98, which statement is correct regarding Minimum Support Price (MSP)?